(w)hole is a simple seating. Its shape and form looks familiar to a regular chair, except “a hole” on both legs. We intend to design this seating to create creativity among users; as an individual, a small group, and a big group. 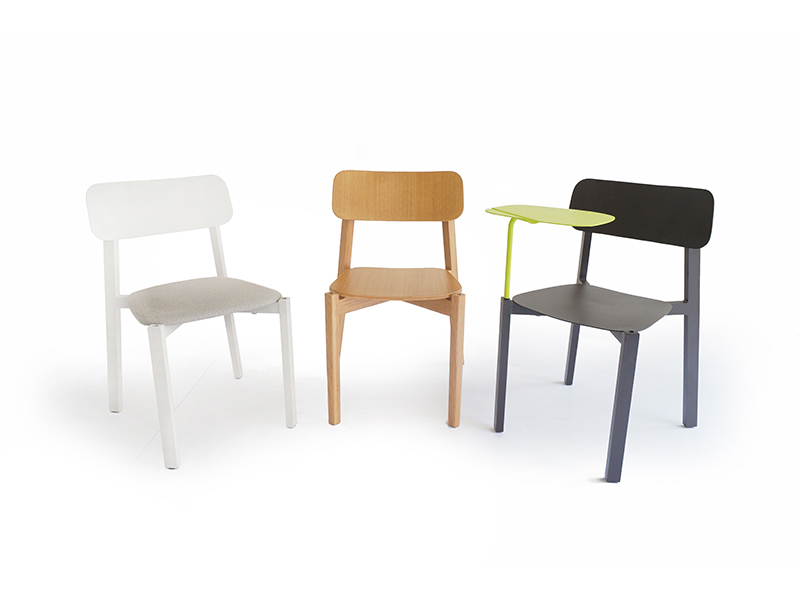 Serving an individual, (w)hole can be a chair partnered with a small table that are easy for a user to move around. The small table consists of a powder-coated steel surface and a steel rod designed to penetrate into the holes on the chair’s legs. 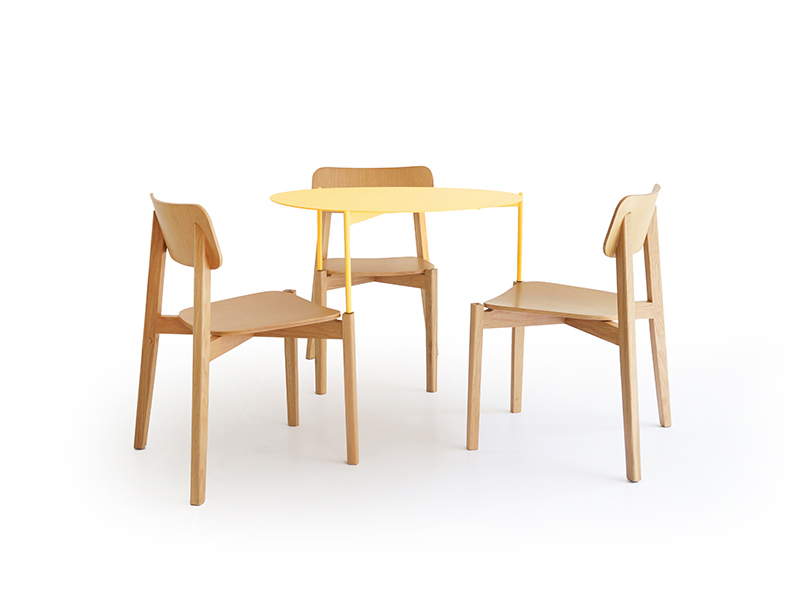 Serving a small group, (w)hole can be chairs and a round table for 3 persons. By inserting the table’s legs into holes of the chairs, the users can cooperatively set up the team seating anywhere they want. Secretly, the design of this seating reflects collaboration among the users. During the regular usage, (w)hole is a chair providing comfort, durability, strength, and simplicity to well fit with other pieces of furniture and spaces. To enhance flexibility, (w)hole is stackable.